17 Apr What Is A Pawn Loan? With over 250 five-star reviews on Google, The Gold ATM is the highest-reviewed gold and diamond buyer in Atlanta. 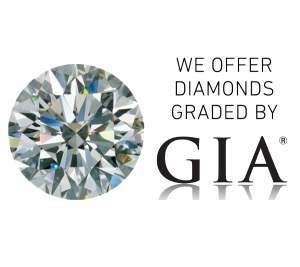 In addition to buying gold and diamonds, we also offer jewelry loans. That is exactly the same as a pawn loan, only with jewelry. Since we realized that many of our customers aren’t familiar with the details of this service, we decided to outline the ins and outs of pawn loans. Basically, pawn loans are an easy and fast way to get a loan without a credit card. You can get a certain amount of money based on the value of your jewelry (or some other valuable item). Your collateral will serve as security for repayment of your loan. Typically, a pawn loan lasts 30 days, and you have to repay the amount during the one-month period. Every now and then people cannot pay back their loans in full before the due date. However, if the state you live in allows it, you might be able to get an extension on your loan. Bear in mind that you would have to pay a part of the interest owed first. After that, you would be able to extend your pawn loan. The number of days is usually determined by the state law. If you are unable to pay back your loan in full before the due date, you might get a renewal. You have to pay the interest that has accumulated on your loan in full, and then get a new pawn loan written. Both the interest and the amount will stay the same. Your due date will reset for the full term of your loan. How Will We Evaluate Your Items? The Gold ATM jewelry experts will evaluate your pieces directly in front of you using a digital microscope. We will project a high-resolution image onto a big screen so that you can view your precious jewelry pieces like you’ve never seen them before. Our rates for determining the value of gold jewelry pieces are based on the national price of gold. You can always check it out on the display in our office, which we update daily. So, if you need a jewelry loan and you happen to have pieces of fine jewelry such as diamonds, high-end watches, estate jewelry, etc., feel free to pay us a visit. We are proud to serve our Atlanta-based customers, as well as our valued customers in the surrounding Atlanta communities such as Roswell, Sandy Springs, Alpharetta, Lawrenceville, Stone Mountain, Tucker, College Park, Douglasville, Marietta, and Buckhead. If you have any questions, feel free to contact us. We invite you to come experience The Gold ATM for yourself.